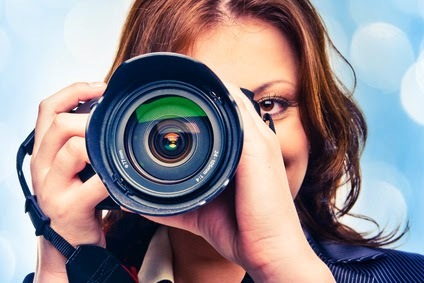 3 Ways You as a Photographer, Can Benefit from an Online Appointment Scheduling Software! Whether you take child portraits or wedding photos, all photographers can probably agree that getting clients to book them is one of the most challenging parts of being a photographer. Since you are most likely the only person working in your business (or one of very few), you are also most likely looking for a way to minimize your workload so that you can focus on selling. If this sounds like you, an online booking system may be the ideal solution for you and your photography business. Here are three great reasons why! Customers browse the web at all hours day or night and honestly, many times it’s easier for them to just book online than remember to follow up with that great photographer they stumbled onto. Since clients don’t have to wait for an answer to an initial outreach email or don’t have to worry about remembering to follow up with you on the phone the next day, it’s easy for your clients to confirm they want to work with you without any missed calls or emails. In all the time you might spend putting together a unique proposal for every client, an online appointment scheduling software can help you to eliminate all of that extra grunt work. You can minimize the workload of making all of your bookings manually, gathering all the information, cross-checking your schedule to confirm availability and more. A good booking system will do all of this for you and more, while also giving your clients an easy way to get in touch with you and manage their appointments. If you have to scan through proposal after proposal or search email after email to find that one client’s phone number, it’s not a good use of your time. An online booking system gives you the ability to have all of your customers information at your fingertips and easily searchable. This also allows you to re-target and market to any previous customers and can make it easier to keep in touch with them after their photography session or photo shoot to gather a testimonial for your website or any other additional information. An online appointment scheduler is one of the best investments you can make in your photography business. It not only cuts down the amount of work for you, but it makes it easier and more efficient for your clients to book you when it’s most convenient for them. Click here to start your FREE Trial.